Chrysocolla Sterling Silver Cuff handmade by D. Smith. Chrysocolla Sterling Silver Cuff handmade by D. Smith. 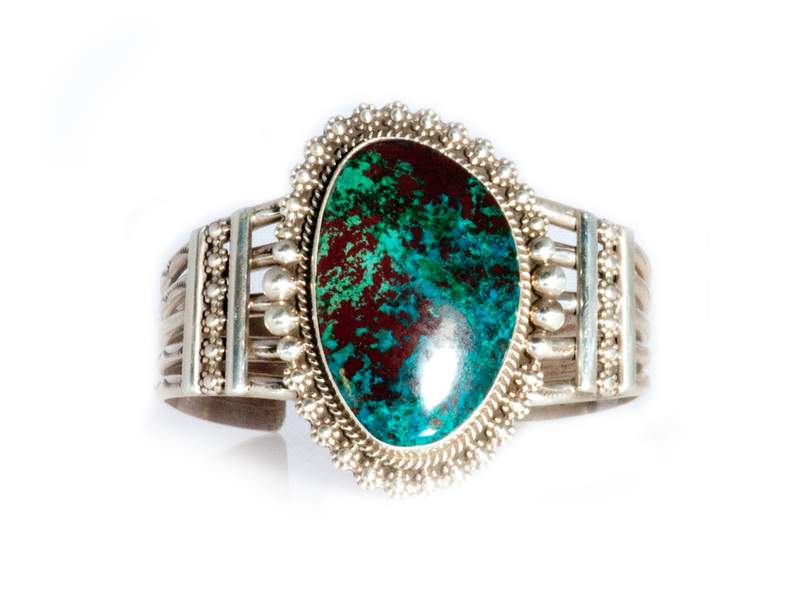 This fabulous cuff is a fabulous example of handmade Native American jewelry. The cuff measures 5 1/2″ inches from end to end with a 1″ inch wide opening.